Weeds are often considered public enemy number one for farmers, so why would a company with its roots in pesticides encourage growers to plant milkweed – an invasive weed species – on their farms? The answer is the monarch butterfly, an iconic species that depends on milkweed for sheer survival. With monarch populations in decline, and farmers facing increasing scrutiny around farming practices, BASF developed a program designed to educate farmers on how they could make a difference for a critical environmental issue. With millions of acres of farmland lining monarch migration paths, farmers own some key real estate for milkweed habitat. Other similar preservation efforts focused largely on research, leaving farmers and their role as potential game-changers on the sidelines. Padilla knew that activating this large but important group would be critical for establishing new monarch habitat – but it wouldn’t be easy. After all, most farmers had spent their entire careers trying to keep milkweed out of their fields. Altering the anti-milkweed mindset of these farmers would require direct engagement, and a clear and compelling call to action. Living Acres became a bridge to farmers to change their perception of milkweed, and ultimately drive toward its restoration. We provided them with a step-by-step understanding about how to establish milkweed, and best practices for locating milkweed plots so they would not pose a risk to commercial crops. Through PESO channels that included social media, paid and earned media, educational events and a dedicated section of the BASF website, Living Acres became a farmer’s guide on how milkweed can coexist with modern agriculture. Resources were built from BASF in-house and outside partner research, educating farmers on milkweed misconceptions and how these resources can be economically established on their farms. 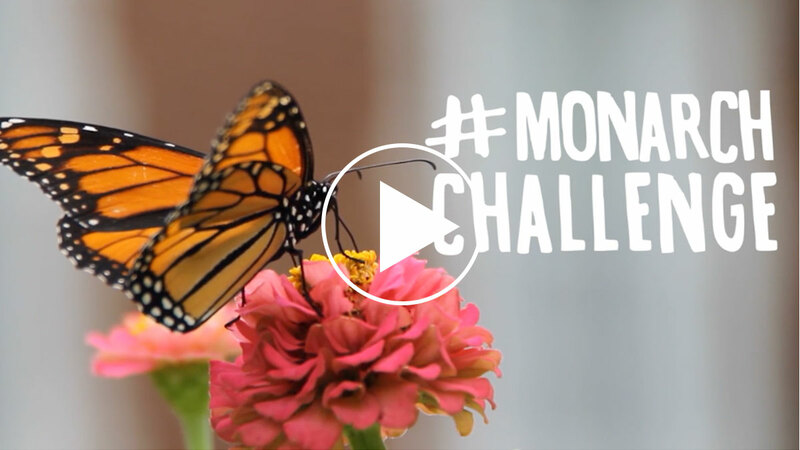 To drive action, a #MonarchChallenge campaign was developed on Facebook, sending milkweed, gardening tools and tips to create monarch habitat to those who signed up. 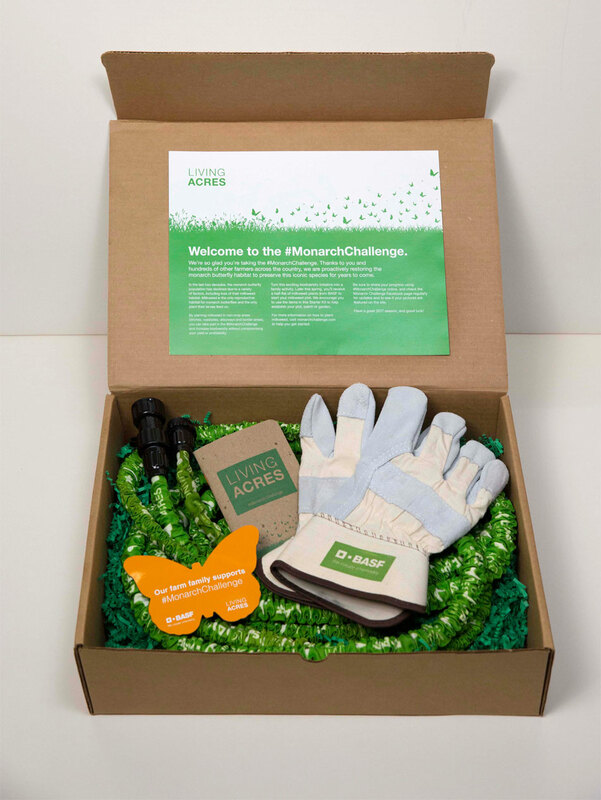 Living Acres well exceeded objectives, distributing more than 11,000 milkweed seedlings directly to farmers across the country. 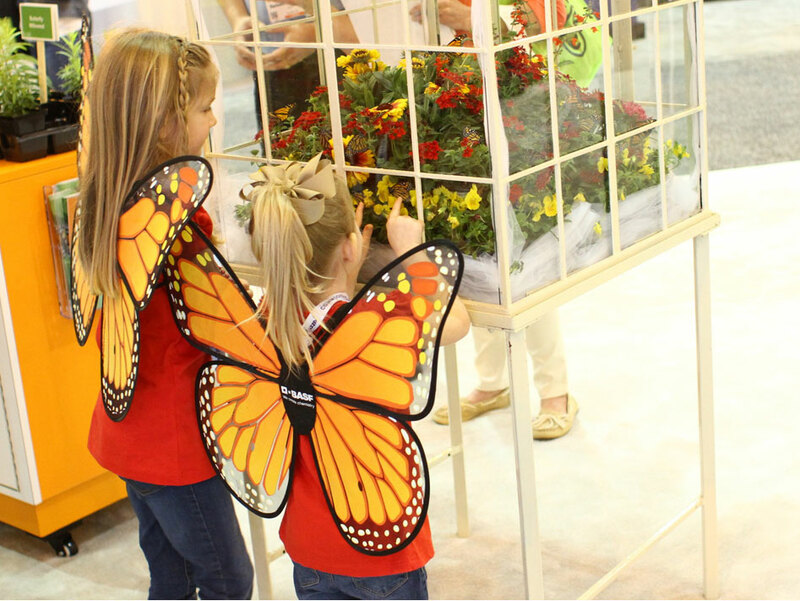 The #MonarchChallenge received 1,800+ commitments in its first six weeks, and monarch gardens were established at more than 20 facilities of BASF and industry partners.